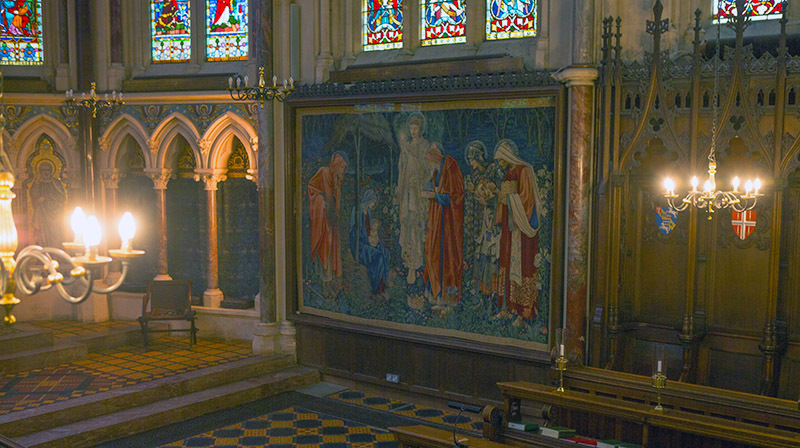 One of the finest pieces of religious art from the Victorian era, The Adoration of the Magi tapestry, has been rehoused in Exeter College chapel in museum-quality conditions. 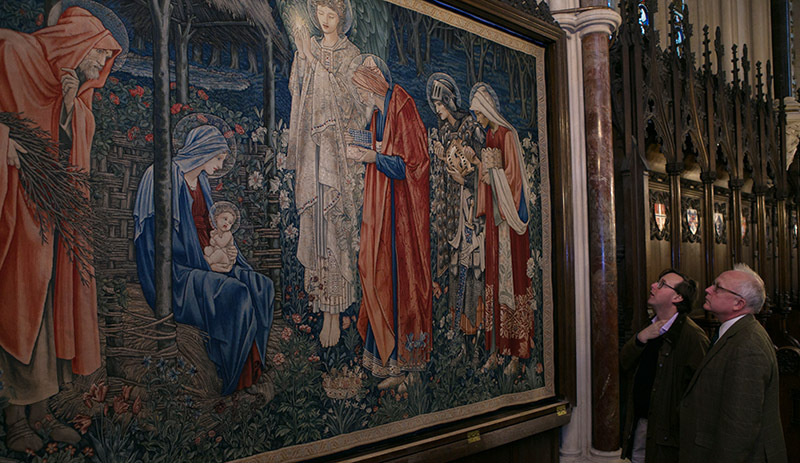 Designed by Exonians William Morris (1852, Classics) and Edward Burne-Jones (1852, Theology), the tapestry is now protected from damage and displayed in its proper glory thanks to the work of conservators Georgie Dennis (1988, Modern History) and Jonathan Tetley, as well as specialist glazing company Tru Vue. Because this was such an unusual project, Tru Vue sent a team to capture the installation of the tapestry on film. We hope to share that film with Exonians shortly. Meanwhile, anyone wishing to view the tapestry is warmly encouraged to visit the chapel. 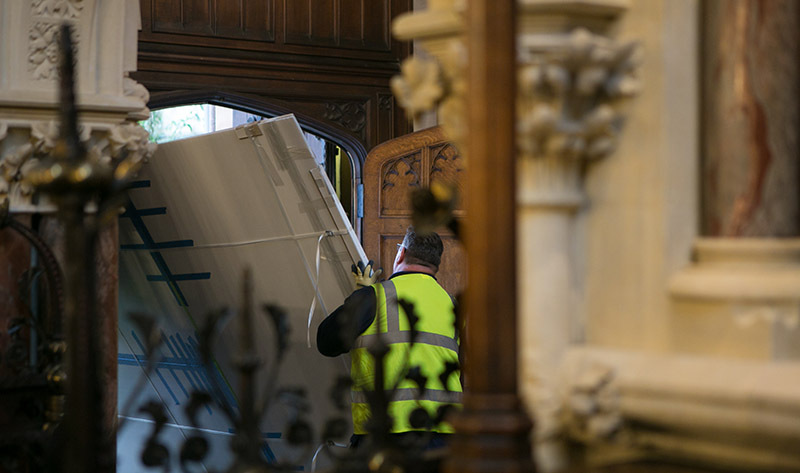 Please call 01865 279600 to check that the chapel will be open before you visit.